Spring break is just around the corner and the kids are over the top excited. Parents and grandparents want to seize every opportunity to make special memories with the kids or grandkids before they grow up. It’s best though that those spring break memories don’t include drunken college students participating in wet t-shirt contests. Choosing the right destination is key to a successful spring break experience. Here are some ideas to consider. Spending spring break on a Florida beach is always a popular choice, but if you’re taking the kids, choose wisely. Daytona Beach, Panama City Beach, South Beach and Key West all attract a boozy party crowd. While that might be fun for a getaway with your friends, it’s probably not where you want to take the kids. Opt for a family-friendly environment instead. Sanibel Island on Florida’s Southwest coast is arguably one of the state’s prettiest beaches and you certainly won’t find the party crowd. You also won’t find the mega-crowds that invade the Orlando theme parks. Instead you’ll find soft white sandy beaches, an abundance of seashells, chic shops, great restaurants, and a laid-back vibe. There’s also an astounding variety of wildlife. Check out the N. Darling “Ding” Wildlife Preserve. This 6,400-acre pristine mangrove estuary provides sanctuary to dolphins, manatees, countless reptiles, and more than 252 species of birds. As the sun slips below the horizon, the sky puts on a dramatic show with the pink, purple and golden hues of the sunset. Mexico has long been a favorite spring break destination for Americans. Typically, that means heading to the resorts in Cancun or the Riviera Maya. If you’re a college student, go for it. If you’re a parent or grandparent with kids in tow, Puerto Vallarta is a better option. If all-inclusive beachfront resorts with spacious rooms, large pools, swim-up bars and lazy rivers beckon you, Puerto Vallarta has you covered. Add to that turquoise waters and views of the Sierra Madre mountains and you may never leave the resort. At Velas Vallarta, there’s even a pair of resident iguanas and a peacock with a penchant for strutting his stuff to impress the ladies. Assuming you can pull yourself away from the pool, iguanas and peacocks, there are plenty of active adventures to enhance the spring break experience. Check out one of the many canopy tour companies offering zip-lining in the tree tops over the jungle and the Los Horcones River. Just for fun, embrace your inner Jack Sparrow and join the pirates on a high-seas adventure aboard a Spanish galleon. There’s plenty of sword flighting, pirate songs, and acrobatics. There’s also a stop on Majahuites Beach for sunning, snorkeling and banana boat rides. 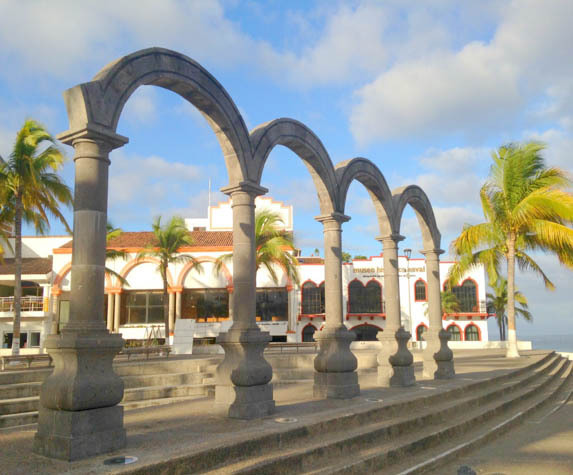 To introduce a bit of culture into the spring break mix, head to the heart of Puerto Vallarto where a stroll by the Bay of Banderas along the Malecon where art is everywhere and includes the iconic Dancing Dolphins and The Boy on a Seahorse. Or join one a food tour to experience the authentic cuisine that makes Puerto Vallarta such a delicious destination. The benefits of spending time in nature are numerous. Consider visiting one of the country’s spectacular national parks to reap some of those benefits. There are plenty to choose from, but if you prefer a lesser known destination, consider the Chiricahua National Monument located approximately 30 miles outside of Willcox, Arizona. Chiricahua National Monument is a true “Wonderland of Rocks." Millions of years ago a volcano erupted spewing nearly 2,000 feet of volcanic ash. As it cooled and hardened, the ash welded together and formed unfathomable pinnacles of balancing rocks. Unlike the Grand Canyon which receives more than 5 million visitors a year, Chiricahua receives roughly 50,000 making it a virtually undiscovered treasure. Hike amongst the spectacular pinnacles along 17 miles of hiking trails. Embrace the wild west with a horseback ride through the monument. Extend your visit by reserving one of the 25 RV campsites and spend your evenings watching the celestial party in the night sky. It’s quite a show and one that won’t require you to cover up the eyes or ears of little ones. What’s your favorite family-friendly spring break destination?